Guided surgery is a procedure which initially involves a diagnostic CT scan to accurately evaluate the condition of your mouth and plan for the optimal placement of a dental implant. The CT scan is then combined with a digital impression to produce a surgical template, or guide. This guide is placed in your mouth, over your teeth or gums, during surgery and will provide for the incredibly accurate placement of the dental implants; it is especially helpful in the case of multiple implants and implants for retained dentures or multiple bridgework. 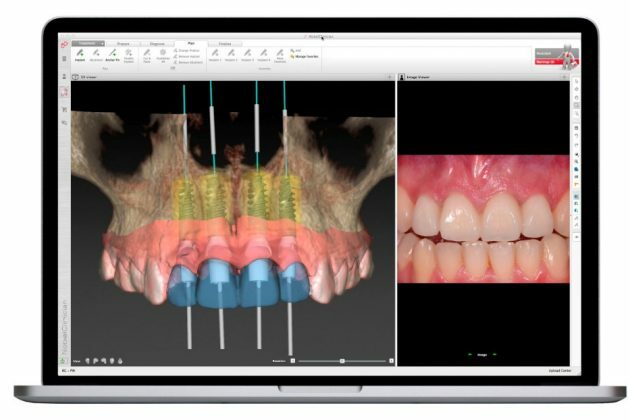 This highly accurate method of implant placement eliminates virtually all possible risk by predetermining the optimum position and exact depth and angle of the implant.